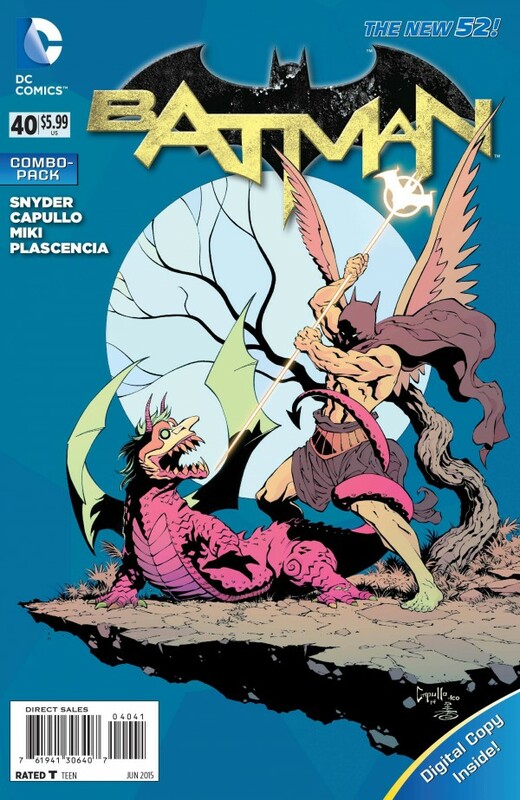 Has it really been 1 year ago today since Batman #40 Combo cover was released? This special cover was NOT shown for the release images, and there was BIG news regarding issue #40. Additionally, the combo cover was delayed 1 week (compared to the regular and the Mask movie variant covers) and some stores that pre-sold were allocated; not to mention the book SOLD OUT at Diamond well in advance. To summarize the heat on this book: not-exact cover image, one week delay, allocations, sold out, and the combo hotness factor (as combo covers were ending)! Yup, this book was selling in the $25-35 range before a copy even hit the shelf. As you can imagine, as soon as the book hit the retailers' shelves, everyone was buying at cover price and posting to sell, and the prices dropped instantly!!!!! Now, one year later, the Combo craze has died down, issue #40 is (yawn) no big deal, and the actual image of the book was not too exciting. Prices right now go for about $10 on a good day, some even lower. A perfect storm to sell EARLY (big hype on issue #40, allocations, sold out, combo hotness) and hopefully smart buyers did not get caught up in the hype storm and pay too much. The smart sellers sold early and often! Still, if you bought at cover price, there is probably some return on this book. Until next week, the One Year Later Watcher is carefully watching market trends and speculative posts from 1 year ago! I personally kind of like the cover, though admittedly the style is somewhat dated. It’s got that Mignola/Russel feel. Strangely, a graded 9.8 can go for close to $100. This was one of my biggest failures in the past year. Bought combo for nearly 50$ and just sold recently for 15$. You live and learn.